Check into one of our 253 rooms, including six suites, and experience Sonoma's laid-back elegance. Our rooms evoke the golden splendor of wine country with earthy tones and natural textures. All rooms feature Hyatt Grand Beds™, and many look upon our gardens and courtyards. Immerse yourself in creativity when you stay in the Live Art Suite, filled with work by local artist Carole Watanabe. Luxuriate more than 800 square feet, with a king bed and living room with a sleeper sofa and work area. French doors open onto a charming patio. This is a premium suite. See World of Hyatt program terms for upgrade eligibility. Unleash your creative spirit in 850 square feet, with two queen beds, a living room with sleeper sofa, outdoor patio, and art by Carole Watanabe. This is a premium suite. See World of Hyatt program terms for upgrade eligibility. Revel in 700 square feet, with a king bed and separate living room with sleeper sofa and fireplace. The luxurious bathroom includes a rain shower. This is a premium suite. See World of Hyatt program terms for upgrade eligibility. In 550 square feet, this suite features one king bed, an additional sleeper sofa, a roll-in shower and a host of accessible features, a private patio overlooking the courtyard or fire pit area, and a seating area. 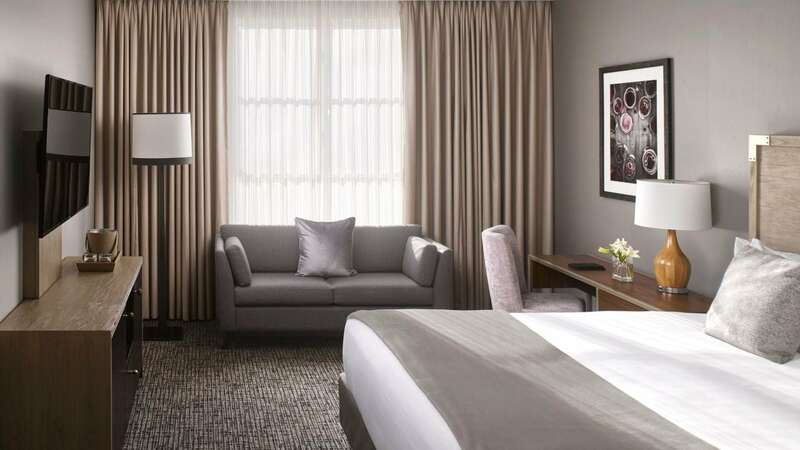 Get more in 325 square feet, with a king Hyatt Grand Bed™, calming rain shower, and spacious seating. You'll love the seamless transition between indoors and out from French doors that open onto a patio or balcony. 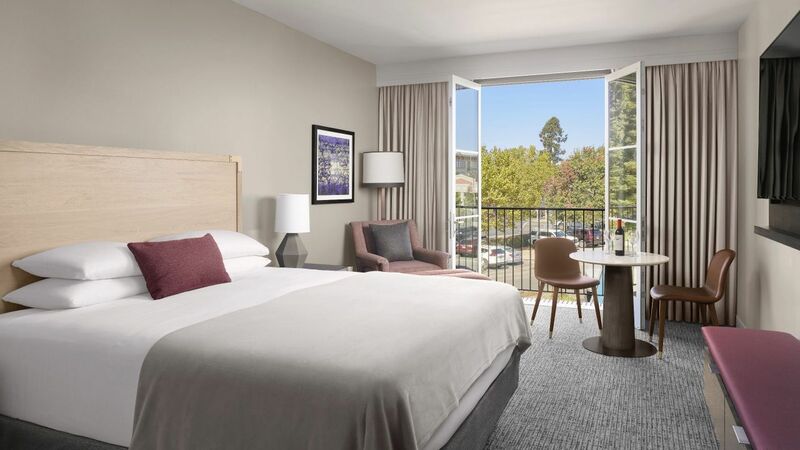 Featuring splendid views of either our expansive manicured gardens, pool and sculpture garden, or central courtyard fire pit, this beautifully appointed room offers 324-square-foot deluxe accommodations, where warm, soothing colors complement the luxury décor of our Santa Rosa, California hotel. 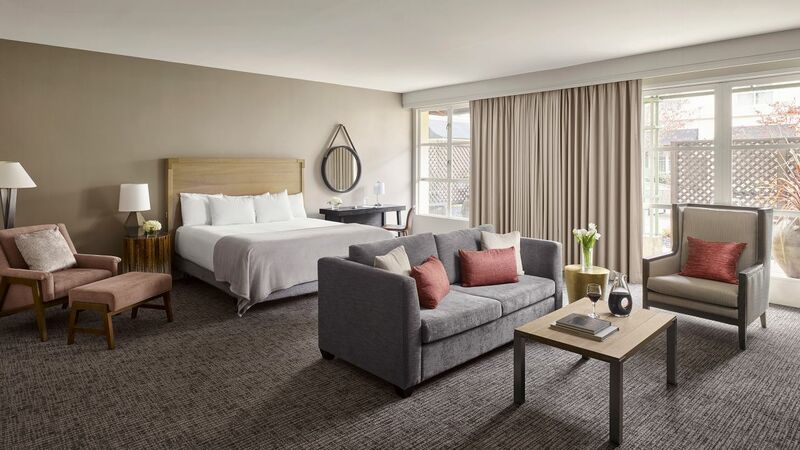 Amenities include two queen-sized Hyatt Grand Beds® with plush down comforters, sitting area, large work area featuring complementary wireless high-speed Internet access, and a spacious bath with granite surround, offering a feeling of richness and relaxation. Refresh yourself in 325 square feet, with a king Hyatt Grand Bed™, luxurious bathroom with a walk-in rain shower, separate work space, and cozy loveseat. Our serene rooms combine rustic details and contemporary flair. Feel at home in 325 square feet, with two queen Hyatt Grand Beds™, a generous seating area, and a relaxing rain shower. You'll appreciate the earthiness of wine country reflected in the colors and textures of our rooms. Relax in a 325-square-foot accessible room, with two queen Hyatt Grand Beds™ and an ADA-compliant bathroom with tub. 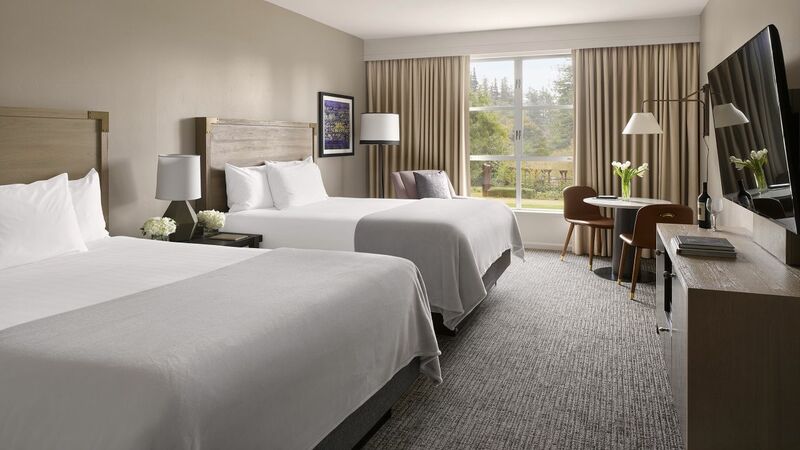 Our rooms bring together natural elements with contemporary style for a distinctly Sonoma feel. Get comfortable in a 325-square-foot accessible room, with one king Hyatt Grand Bed™, additional seating, and an ADA-compliant tub. French doors open to a patio that’s perfect for enjoying mild Sonoma evenings. Enjoy your stay in a 325-square-foot ADA-compliant room, with one king bed, comfortable seating, a bathroom with an accessible tub, and additional safety features. 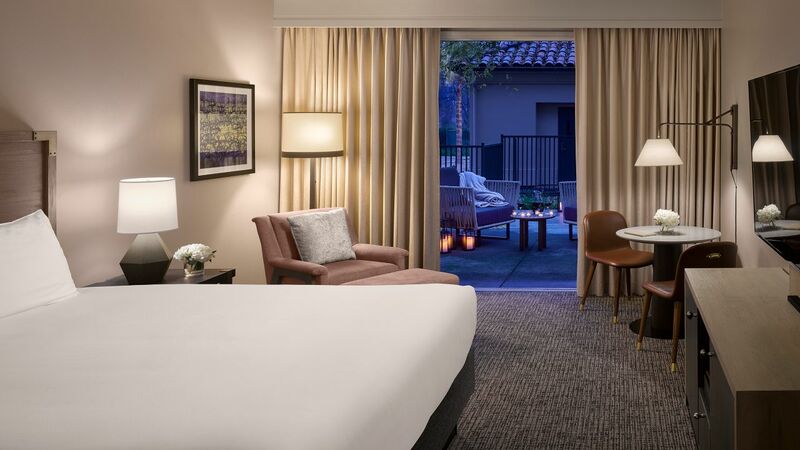 Our rooms combine serenity with wine-country charm. Unwind in 325 square feet, with two queen Hyatt Grand Beds™, comfortable seating, and an ADA-compliant bathroom with accessible tub and additional safety features. You’ll enjoy the view from your Juliet balcony. Spread out in a 325-square-foot accessible room, with one king Hyatt Grand Bed™, an ADA-compliant bathroom with roll-in shower, and ample seating. French doors lead to a patio for enjoying the Sonoma sunshine and fresh air. Awaken to calming scenery featuring views of the courtyard, city or beautifully manicured gardens. 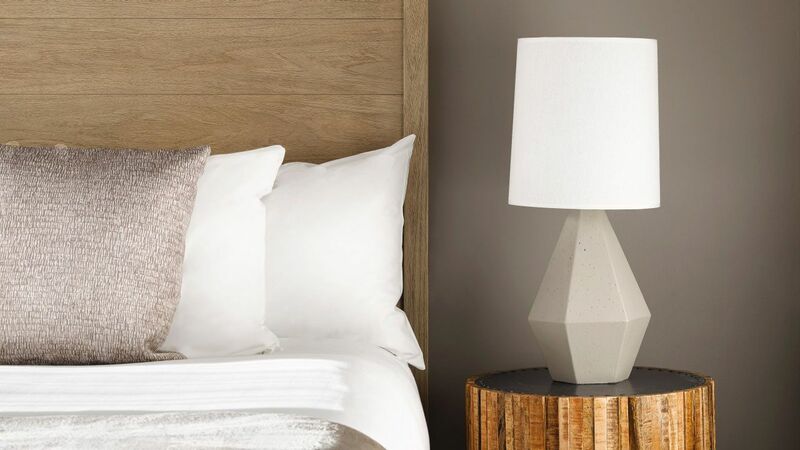 Contemporary guest rooms pair modern convenience with elegant wine country flair. 325 sq ft guestroom with King bed, lush bathroom with rain shower, spacious sitting area and HD 65 in. TV. Awaken to calming scenery featuring views of the courtyard, city or beautifully manicured gardens. Contemporary guest rooms pair modern convenience with elegant wine country flair. 325 sq ft guestroom with two Queen beds, lush bathroom with rain shower, spacious sitting area and HD 65 in. TV.